It’s been an odd week. I lost my camera on Monday, I think it slipped out of my jacket pocket while exploring the Mile End. My bike is also out of commission with some serious issues that have proven challenging to fix. I borrowed replacements from my friends but I miss my old tools. The camera was solid if unexceptional but I had learned how to use it pretty well. The bike is a bit harder to replace. I borrowed one from a friend but it’s a bit too small, pretty uncomfortable and my god is it slow! There’s also no milk crate container on the back. I have to focus on either fixing my bike or buying a new one in the coming days. 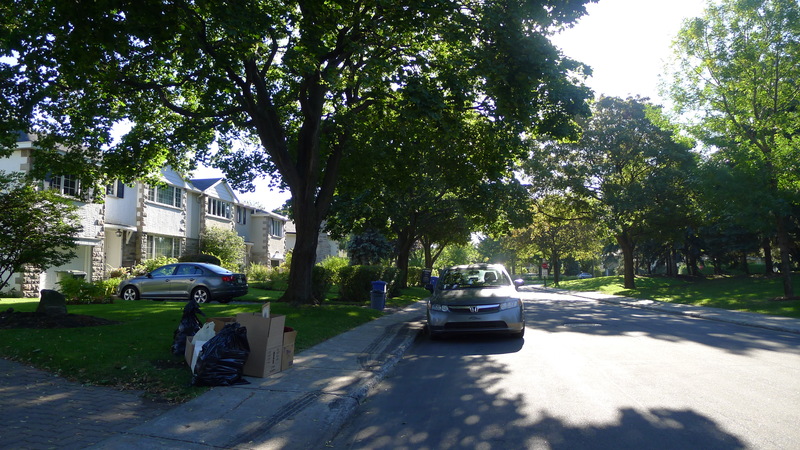 On Wednesday morning I went out with a couple of friends and their car to the Town of Mount Royal. They needed some furniture and I suggested we check out TMR, seeing as the population is fairly wealthy and the streets are fairly “driver friendly”. They did get some furniture, including a couple of chairs, one of which was a nice (if worn) 60s orange armchair. While we were looking at the trash in the pile above the owner of the home, an older woman maybe late 50s or early 60s came out and asked us what we were looking for. She was mostly worried about potential identity theft. Once we convinced her that was not our interest – I told her I mostly like “les choses vieux” and showed her the things we actually took – she was fine. I’m not sure why exactly she was throwing out one of the better ephemera (old paper memorabilia) hauls I’ve seen in my career as a professional garbage picker, but here it is for you to see! Not all of it was ephemera. My friends got a box full of picture frames, which was something they had hoped to find. 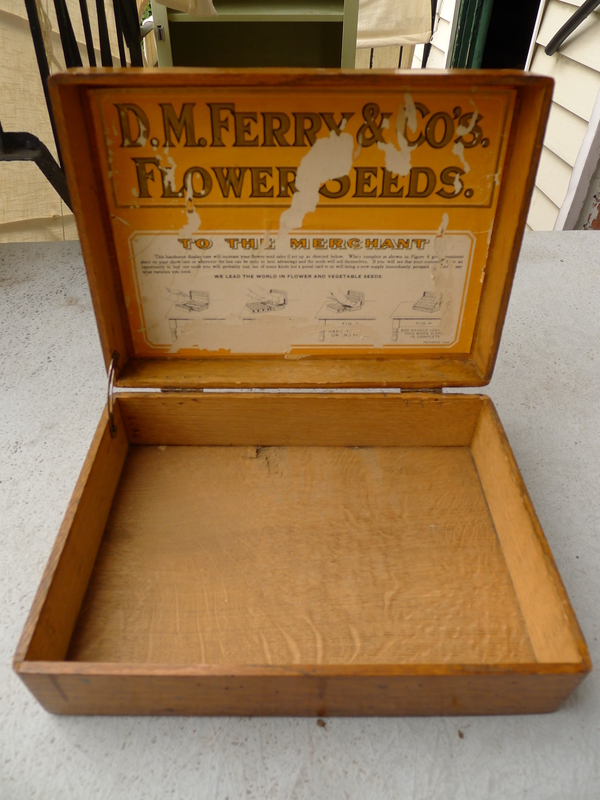 I got this old wooden box, apparently made to hold seeds from a D.M. Ferry Co. The display inserts that came with the box are long gone but the box is still quite beautiful. 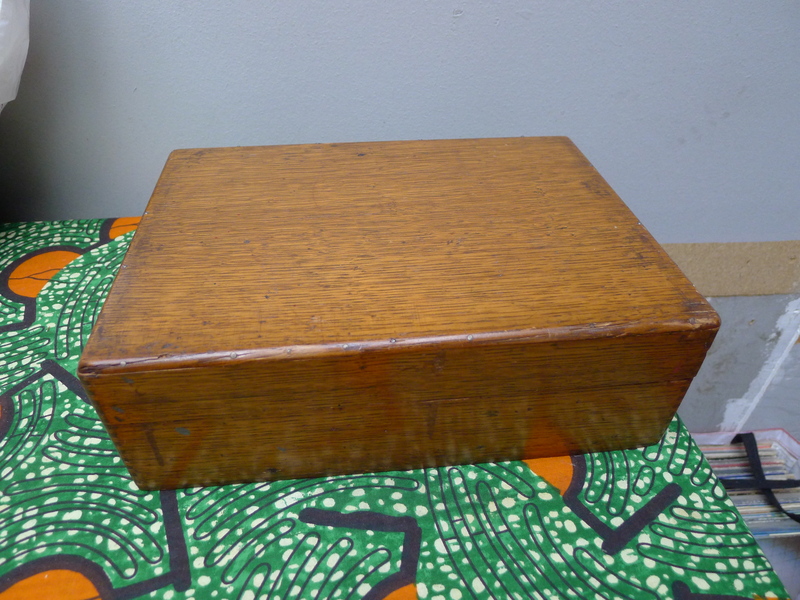 It’s very old as well, it was patented in 1906. I think I’ll keep this myself, it’ll be great for holding baubles and jewelry. 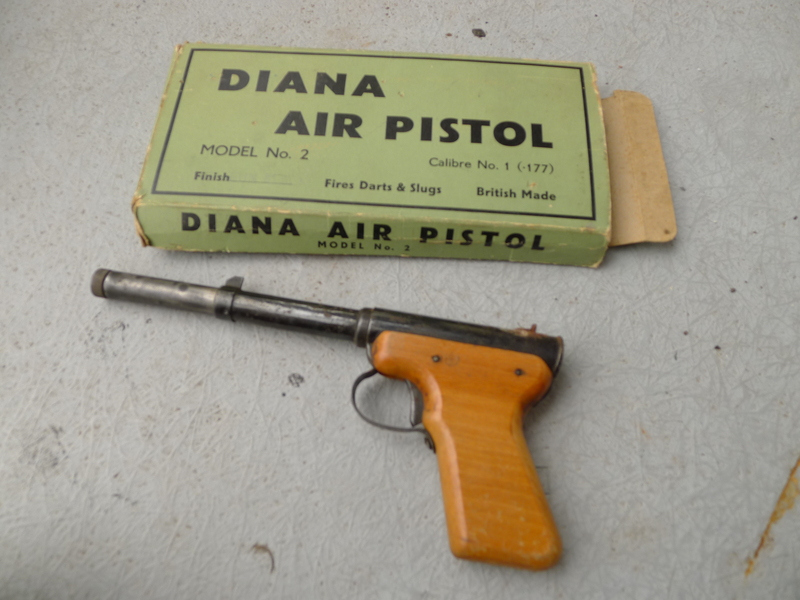 I also found this cool vintage “Diana” air gun. It’s definitely missing pieces but would still make a good prop! Now for some ephemera. Here’s a few old papers, the oldest of which is dated July 21st 1969 – the day after the moon landing. 1969 was also the first season for the Montreal Expos baseball team. 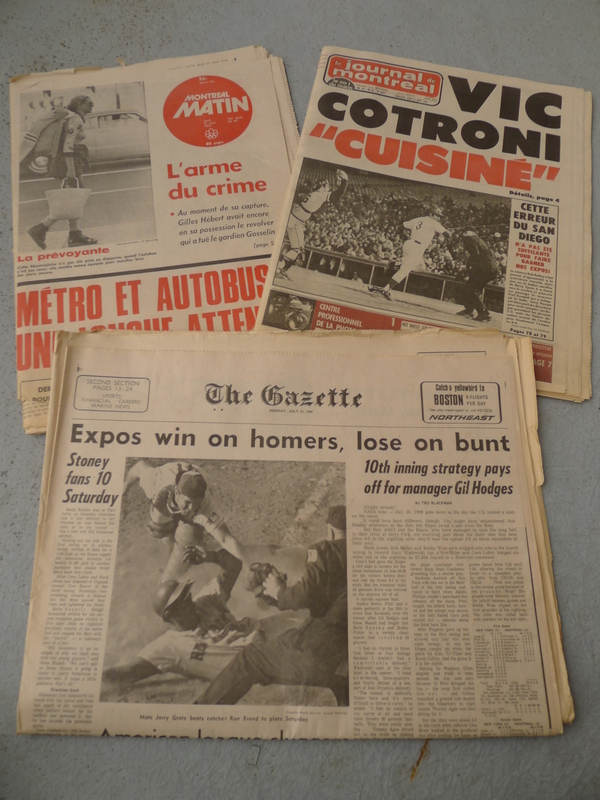 I think the unifying concept of these papers might be that they talk about the Expos. 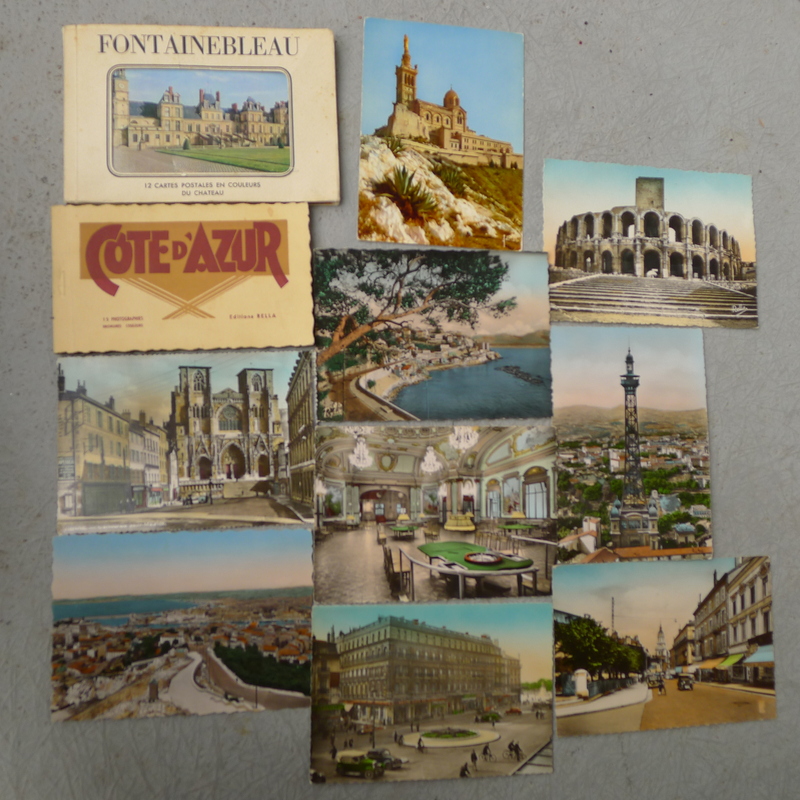 There was a nice collection of postcards, most of which I think date back to the 50s. 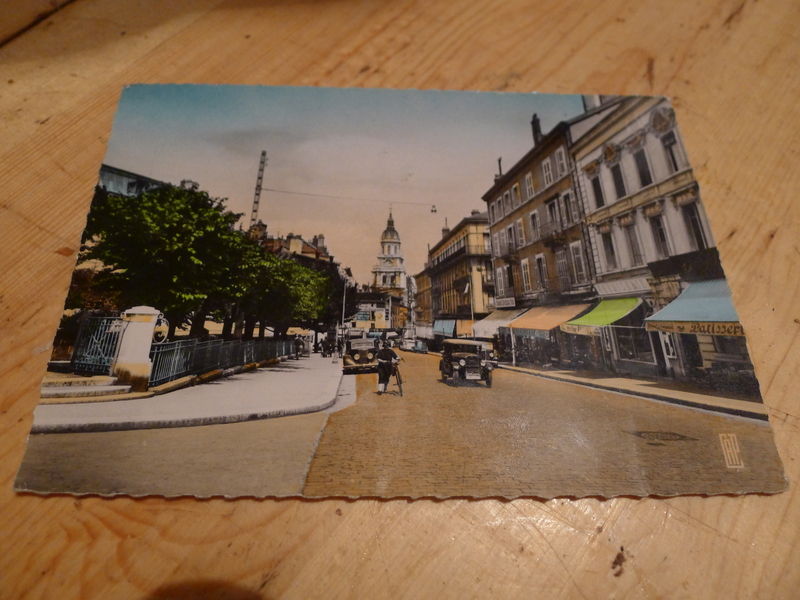 I found a couple which were written on (which I gave to my friend) that were postmarked 1953. The images are oddly colourized but quite beautiful. You can see a good example above. 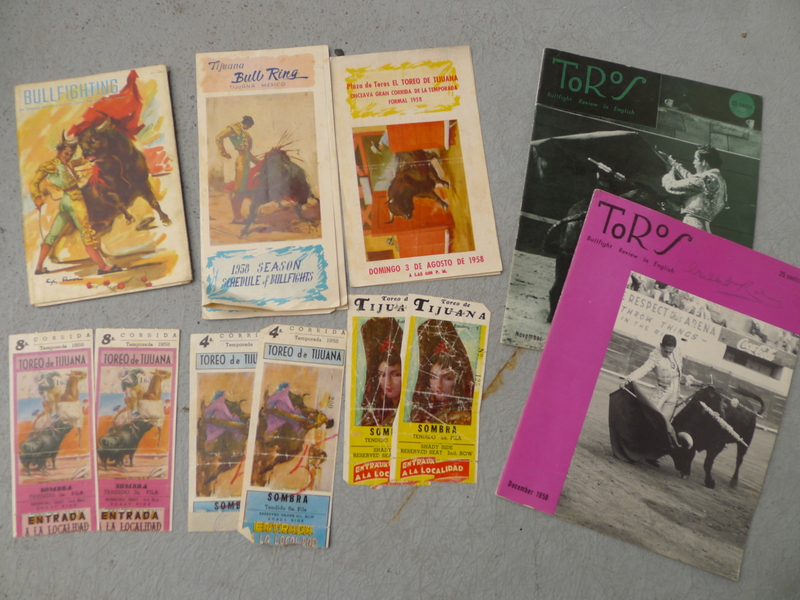 This is a batch of bullfighting ephemera. Whoever owned this attended bullfights at a place in Tijuana. I have three pairs of tickets, four schedules, a small pictorial book on the best bullfighters of all time, and two magazines, all of which was printed in 1958. I think this stuff is pretty cool. I’ve never found anything bullfighting-related before! I can’t do it justice with just one photo, perhaps I’ll upload more at a later point. It’s all very complete and in excellent condition, a theme which continues below. Whoever collected these papers also attended a lot of events in Montreal. 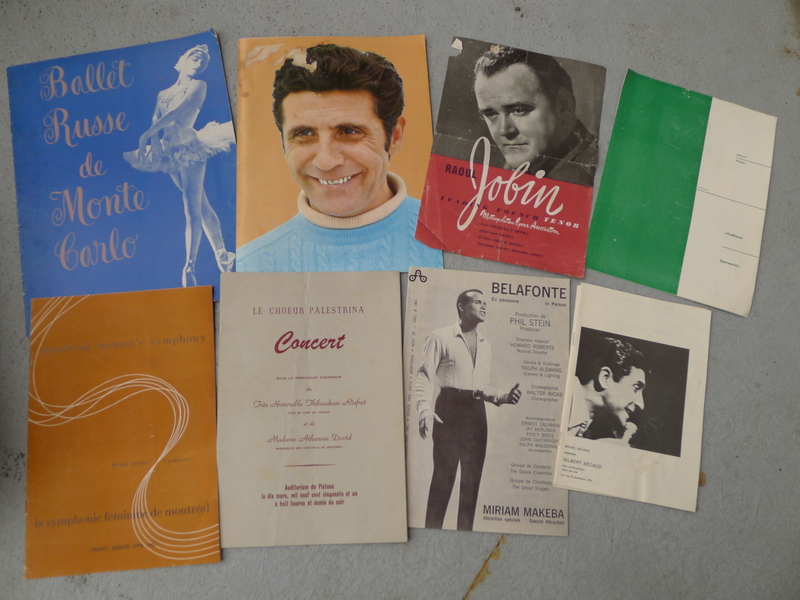 These are all pamphlets from shows by fairly famous performers, including Harry Belafonte and Maurice Chevalier. A few of these pamphlets are almost like short books detailing the lives of the artists, I imagine these might have been for sale as souvenirs at the concert. Many of the shows took place at Plateau Hall, now called Salle Jean-Deslauriers which sits in the centre of Parc Lafontaine. I know Maurice Chevalier by name but I don’t know any of his work. Feel free to suggest a tune to listen to! These are all in remarkably good condition. 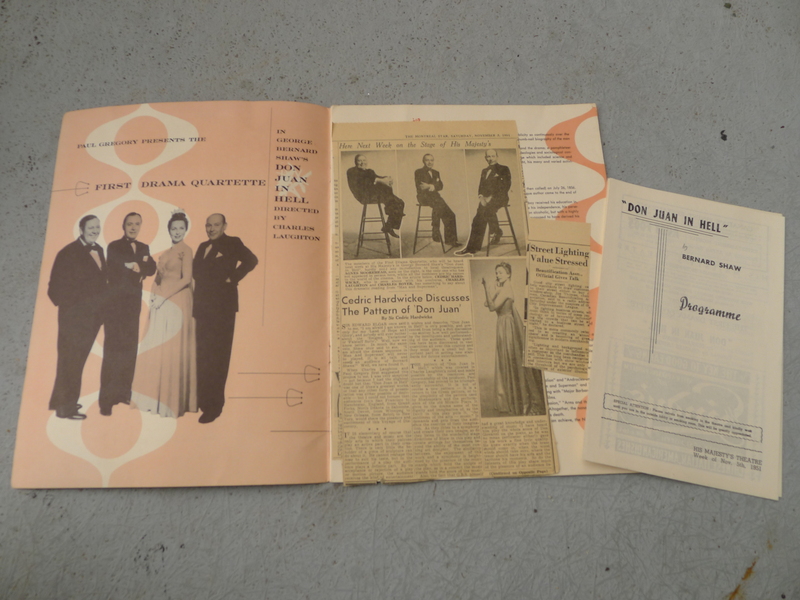 Many of the pamphlets include newspaper clippings and other show-related memorabilia. It’s pretty impressive how organized and well-kept this all was. Remember the old photo of the family in front of the “Homeric” cruise ship from my last post? 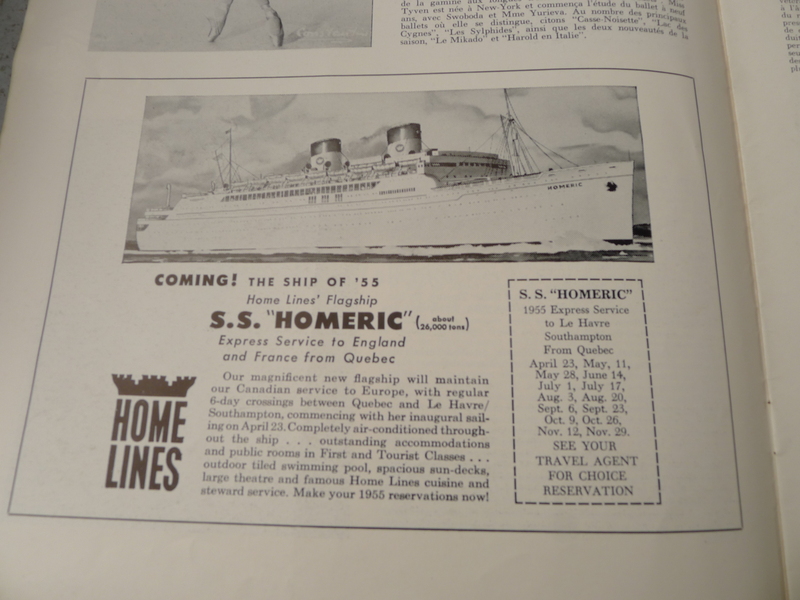 I happened to come across this ad for the same ship in one of the pamphlets. It’s pretty cool to link these things together, it really helps to create a more comprehensive idea of what life was like back in those days. 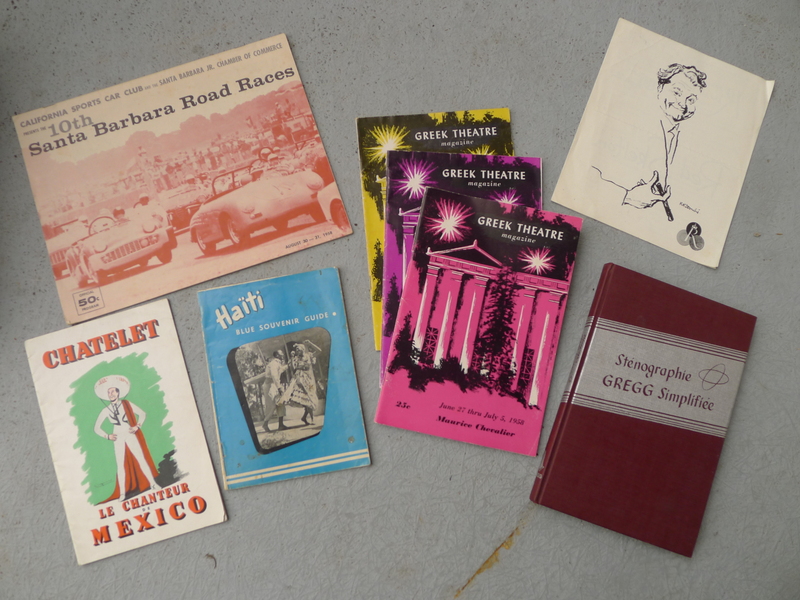 Some more miscellaneous ephemera, including a guide to the 1958 Santa Barbara Road Races, a few 1958 (a common year it seems) Greek Theatre Magazines, a tourism guide to Haiti, and a pamphlet to a Red Skelton show in Las Vegas. I have one other very interesting thing to show you from this collection. The photos didn’t turn out as I had hoped and I don’t have the piece on-hand so it’ll have to wait for another post! Yep, other than all that it’s been a quiet week, though I did find this cool old bottle amongst some rubbish on Tuesday. 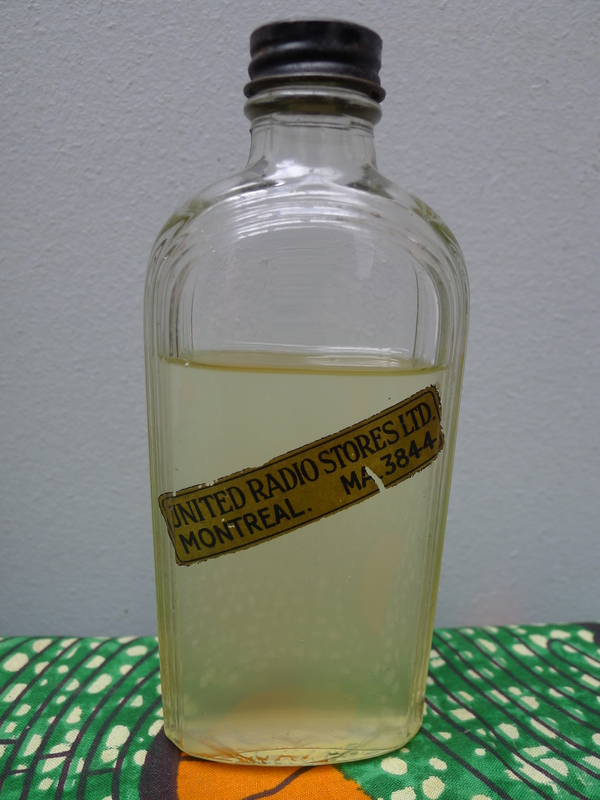 It carries the name of a United Radio Stores Ltd. The contours look art deco-y, so my guess is that it’s from around the 30s or 40s. It seems to contain some kind of oil. Tomorrow I head to Villeray in the morning and the Plateau in the evening. I want to take a trip further North in Montreal at some point, but given that my current bike is so slow it seems best to wait until I get my speed back. my goodness, that is quite the haul…well done!!!! perhaps you could put an add on some of the collectors sites/kijji/etc, offering a trade – camera / bike in return for High Quality/Vintage items…suitable for Discerning Collectors/Artists/etc.? Postcard collecting is pretty big. People on Ebay are trying to sell cards similar to this for around 4-6$. Keyword there is “trying,” not many are selling for that price. Ones that have sold have gone for more like 1.50-2.50. I’ll probably put them in a yard sale, maybe for a dollar a piece. If I can sell them as such I’ll make an buck and move them a lot quicker and with a lot less hassle than I would on Ebay. I think some of the ephemera might be fairly valuable. I haven’t research all of it yet but the bullfighting stuff is fairly valuable as you can see here http://www.ebay.com/sch/Vintage-Sports-Memorabilia-/50123/i.html?_okw=&_oexkw=&_adv=1&_udlo=&_udhi=&_ftrt=901&_ftrv=1&_sabdlo=&_sabdhi=&_samilow=&_samihi=&_sadis=200&_fpos=&_fsct=&LH_SALE_CURRENCY=0&_sop=12&_dmd=1&_ipg=50&_nkw=bullfighting+tijuana. I figure I might be able to get around 80$ for that lot. 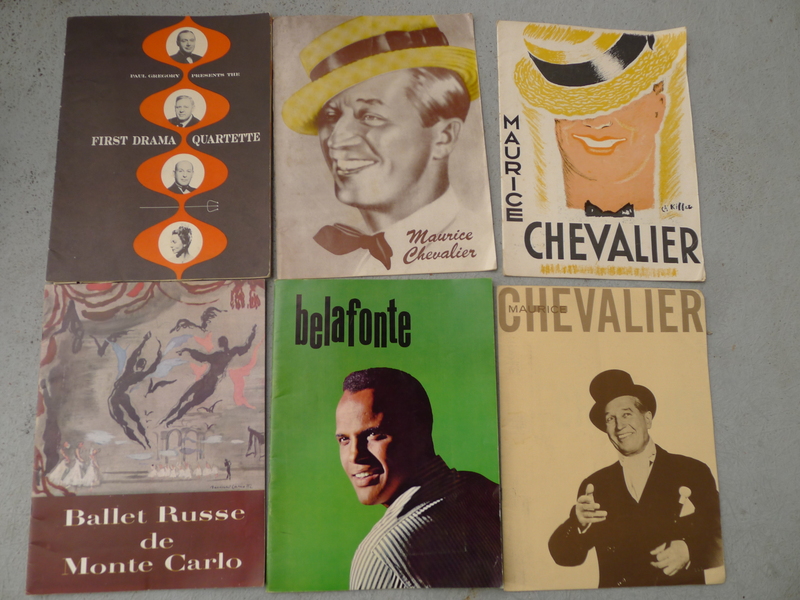 I could also probably get a decent price for the lot of Maurice Chevalier’s stuff. It’s a good idea but I tend to find bartering a sort of awkward process that’s often more trouble than it’s worth. At this point I’m pretty picky about the bikes I want, for example, and some cameras brands or models are much better than others for the same original price. I might be undervaluing the barter process though, thanks for making the comment to my readers – I’m more likely to get a good deal from a faithful reader! hope you do well on your sales. Really cool stuff there! Congrats. Classic Chevalier – https://www.youtube.com/watch?v=-wCZLRoPWGg (start at the 55 sec mark) – note: sounds like this film version made an important modification though replacing the word “tetons” with “petons” – “Elle avait des tout petits tétons” means she had small breasts 😉 Petons means feet – better for the censors, I guess. Sweet haul of ephemera! Some event programmes and booklets can be quite collectible, particularly when autographed. Hope you get your bike and camera issues worked out soon. What a treasure trove! Fascinating stuff to look through and probably pretty collectible, if you find the right buyers. Amazing . . .
good for you… you are an amazing guy… I admire you and wish ever the best for you along your way… Pardon my English! I am an old Frenchie! Hello, been thinking about this. It seems that several times Old Ladies have spotted you when you have been mining the garbage, concerned with what you were up to….I wonder, sometimes if you’re frustrated with trying to explain? Maybe you could sort of make up a “short version”, maybe even have a card, you could hand these folks? Possibly with contact info. The advantage of the “card”/”contact”, might be, is I myself have found that once they are “on board” Old Folks are invariably keen to help, especially to help someone young like yourself who is doing this kind of work. You might end up getting calls to drop by and peruse more goods they will be tossing. And, that is a real possibility, as when folks, especially Old Folks “toss”, they seldom do so in one fell swoop. It is usually a “bit at a time” process…. It does happen but not regularly enough for me to be frustrated by it. Part of me likes keeping my blog a secret from those who encounter me, I worry that telling people I’m going to put their old stuff on the internet for everyone to see might make them more protective. It’s also true that I might be missing out on some other experiences as a result. It’s a tough thing to figure out. Regardless, I do like the idea of having business cards, especially when I have yard sales and such. One of my friends is a great drawer and graphic designer, she might be able to make me a pretty cool one! re those business cards, I suspect it might be useful to have them, then you could pick and choose who you give them to. am sorry if you answered this, just don’t have time to check..
did you mention you are going back to school? taking classes? just lead out with, you are doing this to help pay for school. “I’m an artist/writer”, and doing this to make ends meet. Old folks love the industry of someone willing to exert the effort to pay their way, and also to exert the effort (school/writing/art) to make a life for themselves. if someone came out to chat, you could try one of the above, and be upfront about selling/yard sales /as much as seemed applicable. re the business cards, if you don’t want those folks to know you have a web site (even if you have told them you raise funds selling at garage sale), ask your friend to make you up two sets, one with web site/one without. for this enterprising/hard working young man? Please give it a thought/think of your contacts. I bet any number of folks have a unused bike/several unused cameras. Digital cameras are now something you can find in the garbage. I found one that seemed quite nice, even a decent number of pixels, but it uses some special battery and I’ve not felt like spending the money. It’s smaller than the one I bought new, it would be a handier camera to carry around everywhere. They also appear at garage sales, people wanting something better. And even that hand me down DSLR someone gave me with only 1.6MP is still useful for online photos, though I wish I could find a larger memory card for it. And bikes are endlessly available, people just leave them abandoned (though locked up somewhere) or donate to some group that ships them to third world countries (and the groups even ask for $20 handling fee on top of the donated bike). Martin has found various bicycles as he’s posted about, taking them to some group. But as he says, a bicycle needs to be a good fit. My friend Helen, who happened to be homeless, would point out that the hardest thing to scrounge up were shoes, in part because they might be well worn before they get donated, but also because you need to find a pair that fits. You can live with clothing too big, or sometimes too small, but badly fitting shoes can hurt your feet, not a giood thing if you spend a lot of time walking around. well, Michael says cameras and bikes are easily available (thanks Michael for info)…. I suspect he is correct and many have a selection of unused bikes/cameras, but as you /he said…fit is important/what one is used to using is important..
that will help your readers scout these things out/in their basements/in relatives/etc..
J’aime bien les vieilles choses.